We live within an ageing population, and those over the age of 85 years will continue to make up increasing numbers and overall total proportion of populations across the world. In the UK, the number of older people aged 85 years and above will more than double in the next 25 years. In 2034, it is predicted that over 3.5 million of the UK population will be aged 85 years or above. 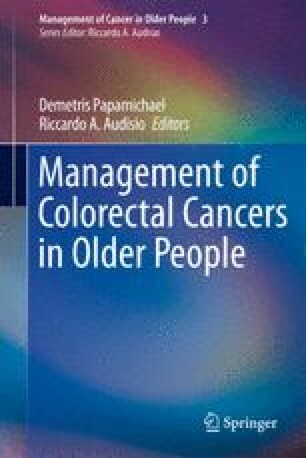 This coupled with increasing numbers of older people developing colorectal cancer will result in large numbers of this population presenting to the hospital, either as emergencies or elective admissions for the management of their cancer. While some cancers can be diagnosed and treated in the outpatient setting, a number of tumor types require admission for surgery and for more prolonged chemotherapy and radiotherapy. This is the case in colorectal cancer (CRC). Older patients are at higher risk of adverse effects, including long inpatient stays, increased complications, higher readmission rates, and increased rates of placement in long-term care facilities. In nearly every setting where older people are cared for, a comprehensive geriatric assessment (CGA) is performed. The CGA is defined as “a multi-dimensional, inter disciplinary diagnostic process to determine the medical, psychological and functional capabilities of a frail older person, in order to develop a co-ordinated, integrated plan for treatment and long term follow up.” In general geriatric medicine, CGA is considered to be the gold standard when caring for older people in hospital. There are, however, a number of issues which have not been fully evaluated. These include the following. http://www.macmillan.org.uk/Aboutus/Healthprofessionals/Improvingservicesforolderpeople/Pilots/PilotsiteThamesValley.aspx. Accessed on Sept. 9, 2012.